Online tee times are not availabile for Castro Marim Golf. 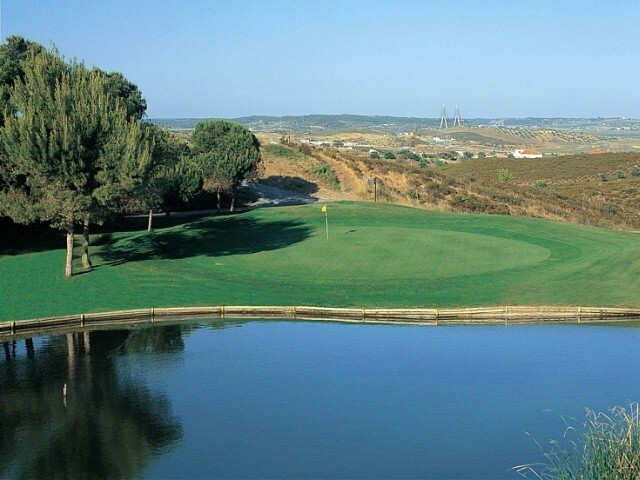 Castro Marim Golf Course is located close to the historic town of Castro Marim the 3 courses of nine holes run through undulating hills dotted with pines and occasional views across the River Guadiana to neighbouring Spain. They are named Atlantic, Grouse and Guardiana. This Castro Marim Course calls for careful play with strategically placed water hazards and fairway terrain that can place you in trouble. This is not mention the well located bunkers waiting for an erring ball. The par 3 on the seventeenth is a hole that calls for special club selection with bunkers in front of the green and a lake behind, whilst at the same time subject to the prevailing winds off the sea. Bransgore Golf Tour had a very enjoyable afternoon playing all three of the nine hole courses (Grouse, Guardinia and Atlantic). The courses and greens are in excellent condition with lots of variation and challenges, and an abundance of great scenery and views. Hilly courses, so buggies recommended. Excellent restaurant, bar and clubhouse. Thank you to Rita and to all the fabulously friendly staff that ensured we had an amazing day. Alun BGT 2018. Great looking course with some quite challenging holes,drove 50 minutes from villamoura but worth the drive , reasonably priced for 2 and a buggy, greens weren't in the best condition but still a good treck out. Very nice hilly layout. Local knowledge is an advantage. The Grouse 9 are quite entertaining but testing! Take a lot of spare balls! Course ok but our original booking was changed. We were allocated two of the three 9 hole courses - the Atlantic & Grouse. My son & I enjoyed playing the Atlantic as it was nicely tree-lined and contained some interesting holes. The Grouse was a bit too open and a bit boring or it may also be because of the slow play. I was disappointed that our original tee-time was changed from 12.05 to 13.15, due to what they said was an 'administrative error' on their part, as it disrupted our plans slightly for later in the day. Annoyingly, when we collected our buggy from the caddy master, his list had a different player named for the 13.15 time suggesting it had been changed deliberately. Other than this, the staff were excellent nd we enjoyed the experience. Guardiana & Atlaantic. Trickey courses and a bit difficcult to find our way around. We were with another couple for a while which helped. Your arrangements worked perfectfully. The problems we had were with the clubs we hired from the club itself. They were old and battered and the grips were appalling; badly maintained, slippery, shiny and and in some cases damaged. The buggy got us round, but was on its last legs and found the slopes a problem. Recommend the course but not the pro shop or equipment, for which we paid 50 euros to hire. 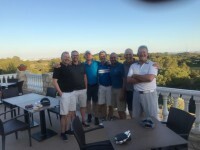 To post a review, score or a notice on Castro Marim Golf page's or to connect with other Castro Marim Golf golfers, please log in to your account or sign up using Google or Facebook.